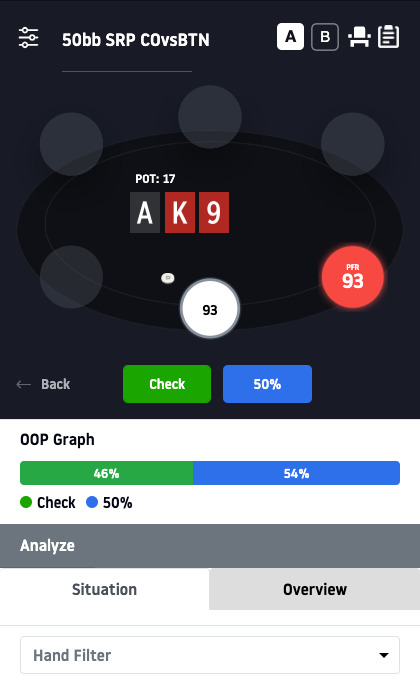 Learn how to play and size your Preflop ranges in over 5,000 flop situations with the fastest and most visual training tool on the market. 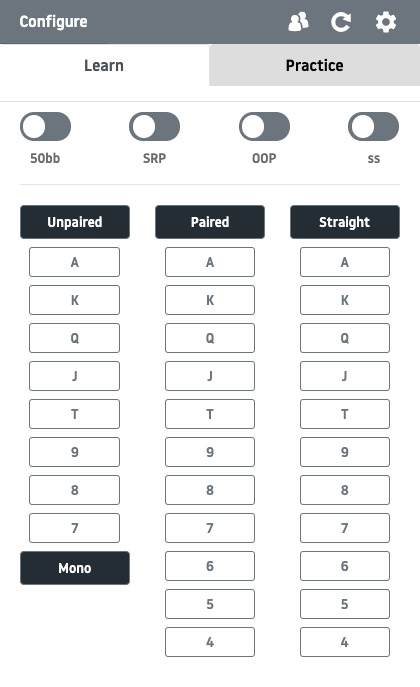 Test your knowledge with the customizable quiz generator. No additional software or solver needed. Mobile ready. Want to check if you played your hand correctly while playing live? Want to test your knowledge while you aren't in front of your PC? This app will fit itself perfectly to the screen size you are using. 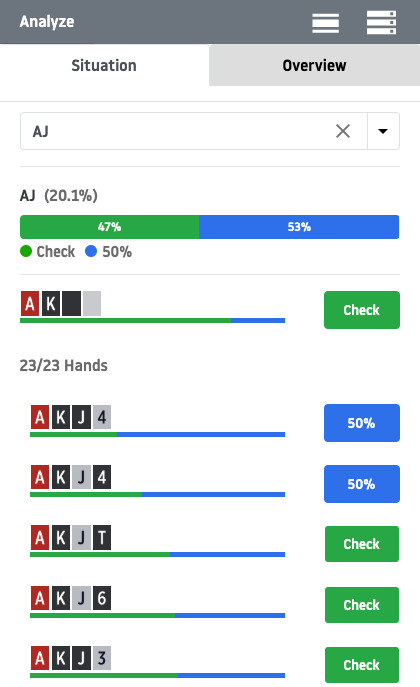 Get a graphical representation of the spot you are looking for: how often should you pick a respective line with the hand you have, which draws change the chosen line?